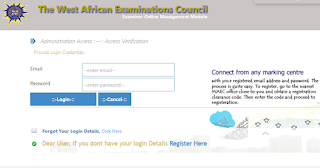 The West Africa Examination Council, WAEC Examiners Online Application Form Now Available | How to Apply and Become a WAEC Examiner Nationwide. 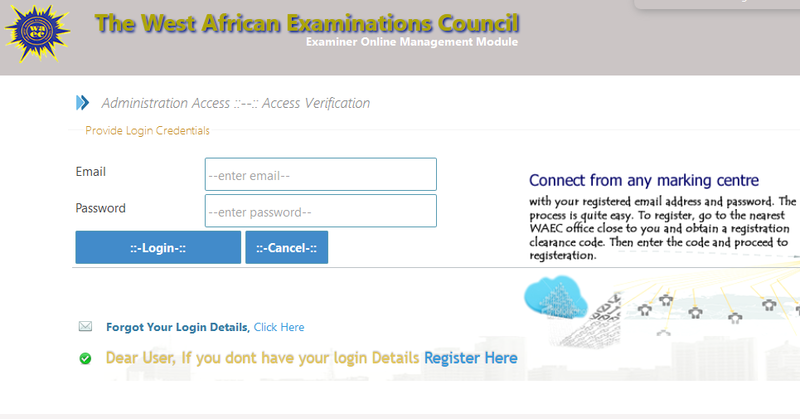 The West African Examination Council, WAEC wishes to inform all interested and qualified individuals who are interested in becoming the body official examiners to submit applications online. Eligible applicants who forward applications can be nominated to be one of the body exam script markers or external invigilators which means more money. Prospective examiners are requested to apply online via the WAEC examiners portal once they have the required requirements. Be a person of high integrity, therefore there must be an attestation to his/her character from the current employer. NOTE: An Examiner will be disqualified if details supplied are incorrect. Interested in the online application, click here to begin filling of form immediately.